Las Vegas, NV – March 20, 2018 – TSL Products will showcase the latest updates to its broadcast control portfolio at NAB 2018 (Booth N5615), including expanded protocol support and enhanced user interface features. 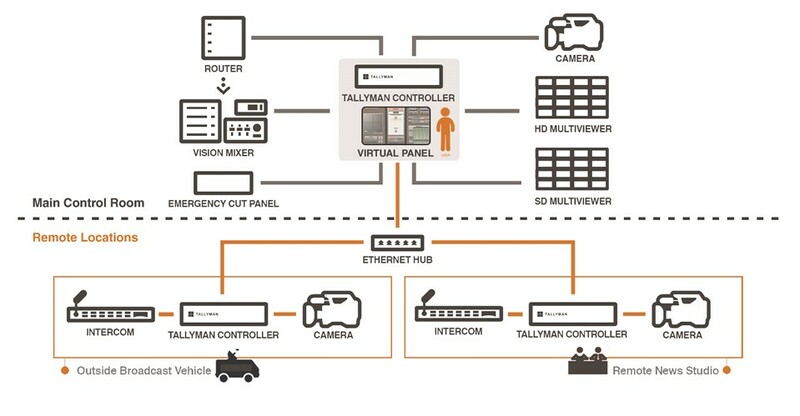 The latest firmware update (V.1.9.2.0) for TSL’s flagship TallyMan Advanced Broadcast Control System provides support for Ember+ data delivery protocol, enabling engineers to integrate all Ember+ capable 3rd party devices into their automated workflows. TSL will also showcase updates to its TallyMan Virtual Panel V.1.3 and debut its new FlashBoard Technical Display System. TSL’s TallyMan control system was built to be independent, universal, configurable and infinitely scalable, allowing broadcast operators to achieve interoperability between equipment regardless of manufacturers and format specifications. Users can easily group multi-level actions into a simple control surface that provides a single, shared entry point for signal flow and facility control. With support for Ember+, operators now have expanded access to a broad range of modern broadcast equipment capable of delivering the protocol’s complex, multi-layered data layout. Along with Ember+, TallyMan can also support several other new standards and protocol updates for 3rd party receivers, routers and switchers. TallyMan’s new studio failover feature is another user-minded update intended to bolster broadcaster’s automated infrastructures. Operators can create pre-sets across all devices in their facility that automatically trigger in the case of failover or scheduled down time. TallyMan will then automatically recall all established pre-sets without requiring any action from operators. 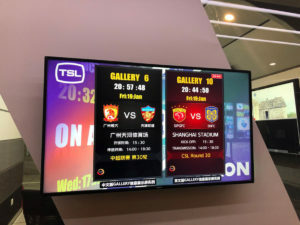 TSL’s FlashBoard addresses the broadcast industry’s growing need for visual delivery of critical workflow information across an entire facility, including run-down, production timing, branding, key production staff information and tally. 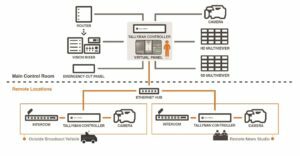 The system’s screen-based setup is linked into the TallyMan system as a direct system interface, providing full visibility of the system and integrating seamlessly within the IP network. 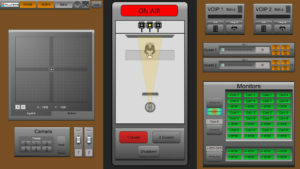 Users can easily design FlashBoard screen displays using the Virtual Panel’s creator software package. With over 1,000 TallyMan Systems deployed worldwide, TSL Products is also bringing its experience in control and system integration to the fore in its audio monitoring solutions through a growing list of control protocols. To this end, both the PAM1-IP and PAM2-IP precision audio monitors now support Ember+ protocol, allowing them to be deployed within an ever-growing number of IP facilities and OB trucks. Furthermore, the addition of SNMP to TSL’s range of MPA1 Confidence Audio Monitors expands operators’ options for reporting audio status to TallyMan or any other SNMP control system to take control of any MPA1 audio monitor. This allows TSL Products to span a greater part of a broadcast facility, as all aspects can be monitored from a single system. Adding enhanced signal flow analysis to TallyMan, TSL’s highly flexible and easily configurable InSite Infrastructure Management Software can monitor any IP connected device and makes status, control and alarm parameters available over SNMP or Modbus. This provides operators with a centralized means of monitoring all aspects of a facility, so they can locate faults more quickly and react pre-emptively to reduce downtime.